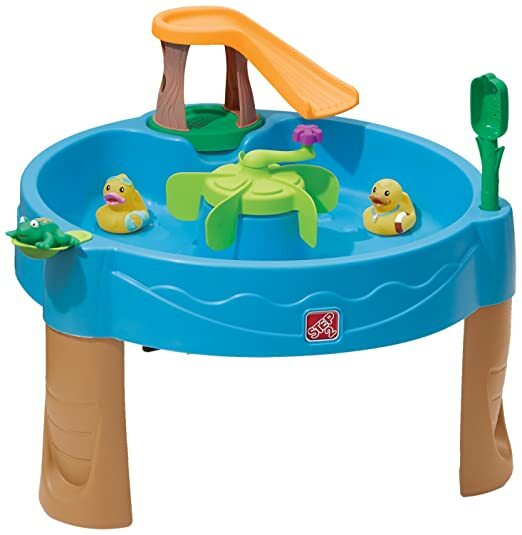 -Step2 Duck Pond Water Table- There are so many fun looking water table options out there, it was so hard to pick one. I eventually just picked this one because it was a little cheaper than some other options. Norah has used it several times and has enjoyed it. I don't know who likes it more- her or me, water tables are just so fun! Verdict: Yes. This water table is fun, but I'm sure there are other options out there that are good too- just having a water table in general is a summer must-have! 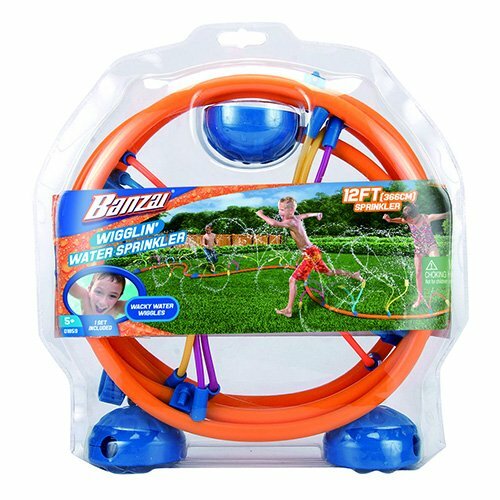 -Banzai Wiggling Water Sprinkler- This sprinkler looks so fun! I thought this looked more toddler appropriate because it has small, low sprays of water over a longer distance vs. traditional sprinklers that have a big, high burst of water. Norah enjoyed it! She liked running through it, and also grabbing individual wigglers and using it like a mini squirt gun. It's nice that you get wet, but not soaked. Verdict: Pretty good. It's nice that you can adjust the level of the sprays by the water pressure (you can just have small streams for more cautious children, or if you turn the water on max it sprays a lot higher). The only problem is it's hard to keep it level. There are always a few that are spraying in weird directions or into the ground. I also thought that the water streams would be constantly wiggling, but they aren't. -Hawk's Nest Play Set- Norah's grandparents were very generous and got her a swing set for the backyard, and it was set up just in time for summer! She enjoys swinging often. We modified it a little bit by swapping out the rings for a baby swing until Norah gets older, which was a great decision. The big swings are also nice though, because they are very adjustable, so you can put them pretty low to the ground for beginners. We also left off the monkey bars portion, for now, because our yard isn't huge and Norah wouldn't use them for a few years anyways, and just filled in the hole with wood planks that matched. Verdict: If you can afford it, swings sets are fun, but if you can't, hopefully you live close to a park! We have enjoyed this swing set so far and would recommend. It's very sturdy! 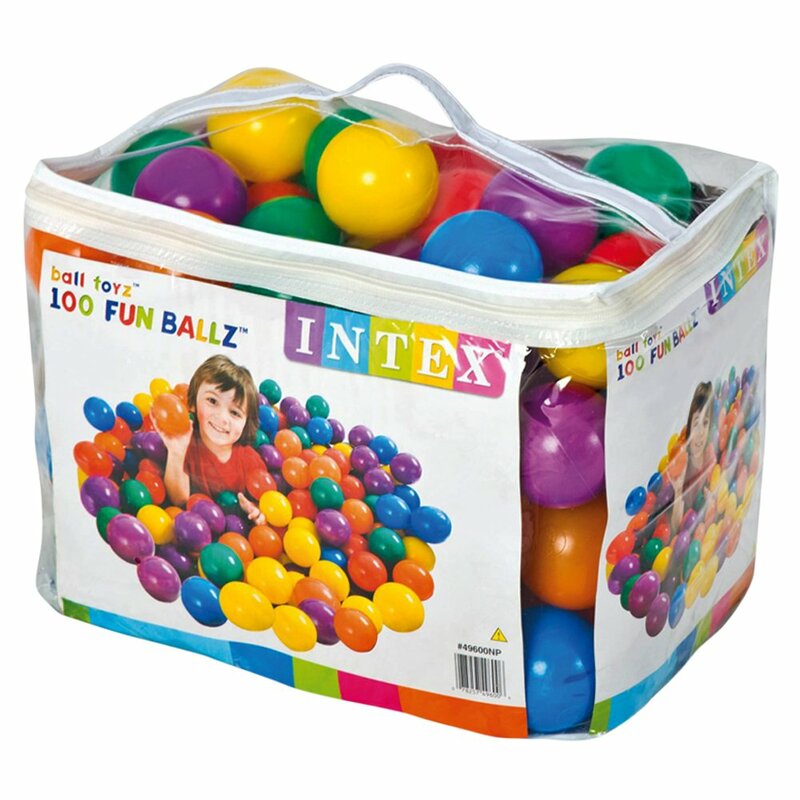 -Intex Fun Ballz- Norah doesn't have this exact set, but there are tons of companies that sell balls like this. I think these are great for outdoors, because you can use them for many things, and it's not a big deal if a few get broken or lost. We have put them in the pool (as pictured below), or they are always a hit to just set out in a big bucket when friends come over. What kid doesn't love throwing balls? Verdict: Sure, fun to have, but not a must. 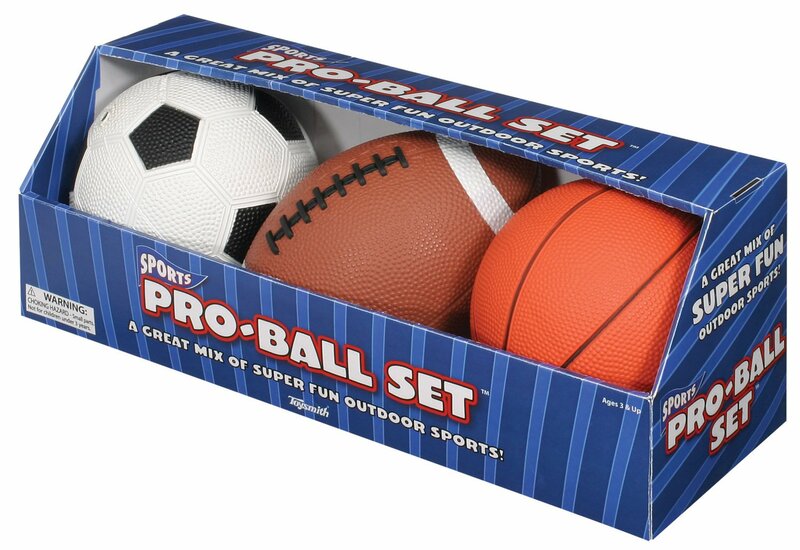 -Toysmith Pro-Ball Set- Again, Norah doesn't have this exact set, but something very similar. They are great because they are realistic looking, but small enough for tiny hands. I also like that they are rubber, instead of foam, so little pieces can't break off. 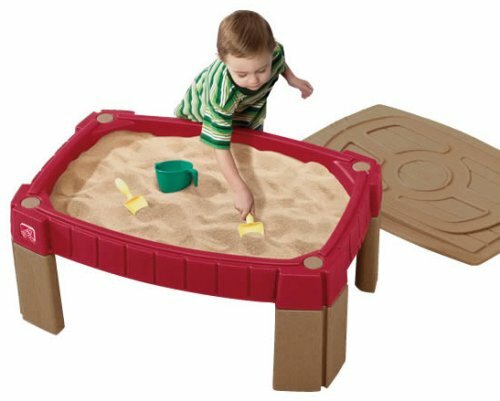 -Step2 Naturally Playful Sand Table- I love this table! There are a lot of water/sand tables combined, but I personally wanted them to be separate, and I'm glad we did. There are times where I will let Norah play in the sand, but I don't want her to get all wet, so it's nice to have them differentiated, and then it can be two different activities instead of one! I love that it's raised, so animals can't get in it easily (it also has a great lid with elastic hooks that attach to the bottom to prevent that as well), and so Norah doesn't sit in it and get sand up in her pants/diaper. Another plus is that it's heavy enough to stay put, but it's not so heavy that you can't move it to different locations (when filled). She also has the Little Tikes Sand Tool Kit that she enjoys (though the tables does come with a couple toys too). Verdict: Absolutely, I really love it! -Intex Swim Center Clearview Aquarium pool- We got Norah's old summer pool out from last year (she had this Intex sunset glow baby pool) blew it up, sat her in it, and really noticed how much she's grown because she was huge in that tiny thing! The top ring also didn't hold air anymore, so it was definitely time for a new pool. The baby pool served us really well last summer, but this year we ordered this new pool and it's perfect. It's the next size up after the really small baby/toddler pools and it's just the right size. It's bigger, but not huge, and there is room to move and fit her friends when they come over. And the ocean animals are super cute! The only downside was that the water is hard to get out.It was definitely a hit when we blew it up and I bet we will use it a lot this summer! Also, two summer basics every toddler should have are bubbles and chalk! Big paintbrushes are nice too- Norah loves to have a small bucket of water and a brush and just paint the sidewalk or house with water. Such an easy activity!